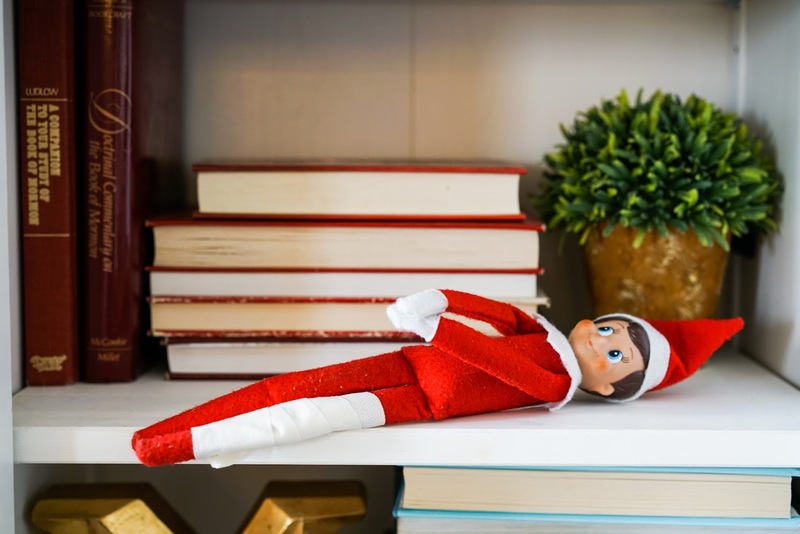 Anyone else really tired of moving the damn Elf on the Shelf every.single.night? Or maybe you forget to move the little man and then you have to come up with some reason why little Charlie the Elf didn't go to the North Pole last night? 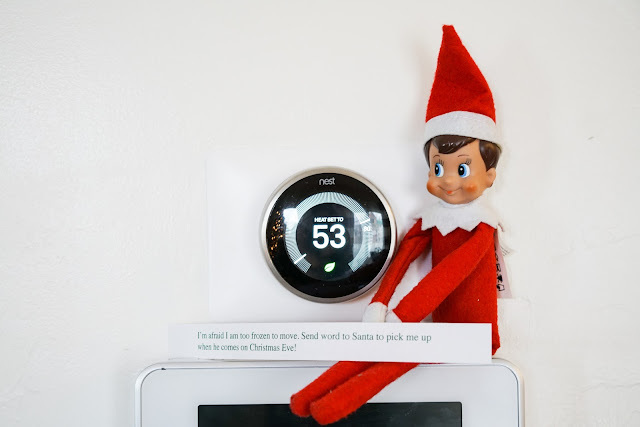 "He must have been too tired to fly home.....", or "He must not want to tell Santa what you did yesterday....", and the list goes on. Well, no more we say! 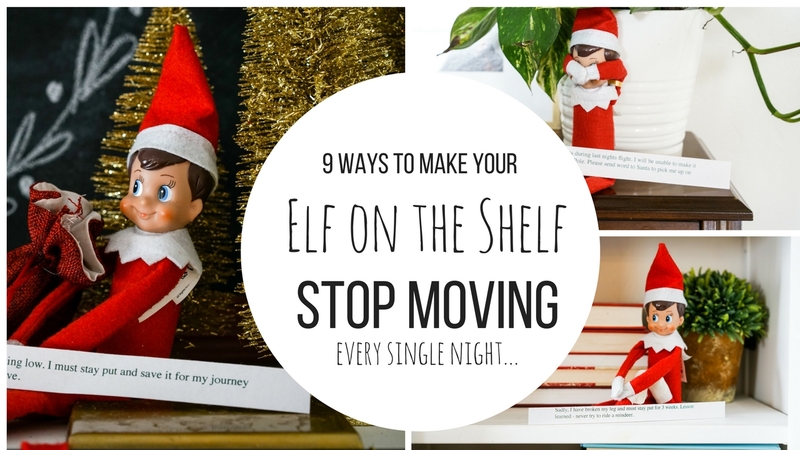 Here are 13 ideas to stop the elf on the shelf from moving every night. So turn off your 10 pm alarm clock that reminds you of your nightly task to move the elf - we are done playing this game! 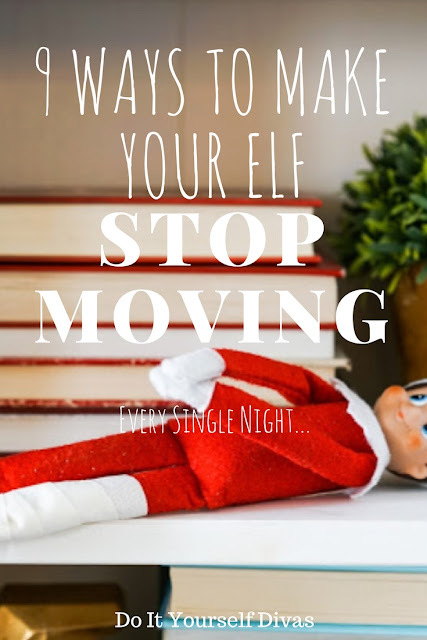 Let's start with some ideas to keep him in the home, but unable to move EVERY SINGLE NIGHT. Hopefully these ideas won't cause too many tears to be shed. 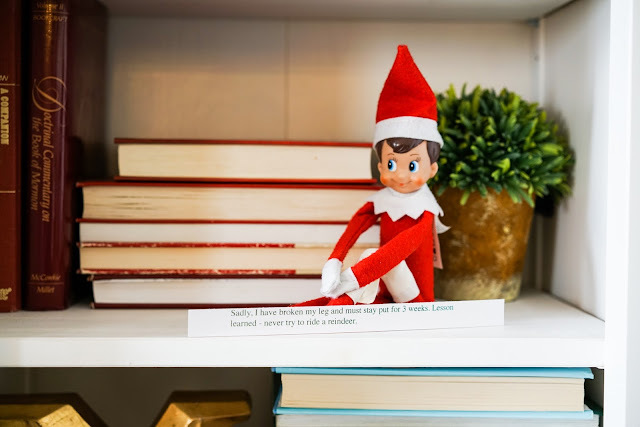 In our other post we will talk about ways to say goodbye to the elf FOREVER - just in case you are DONE with the whole thing. 1. Sadly, I have broken my leg and must stay put for 3 weeks. Lesson learned - never try to ride a reindeer. 2. My pixie dust is running low. 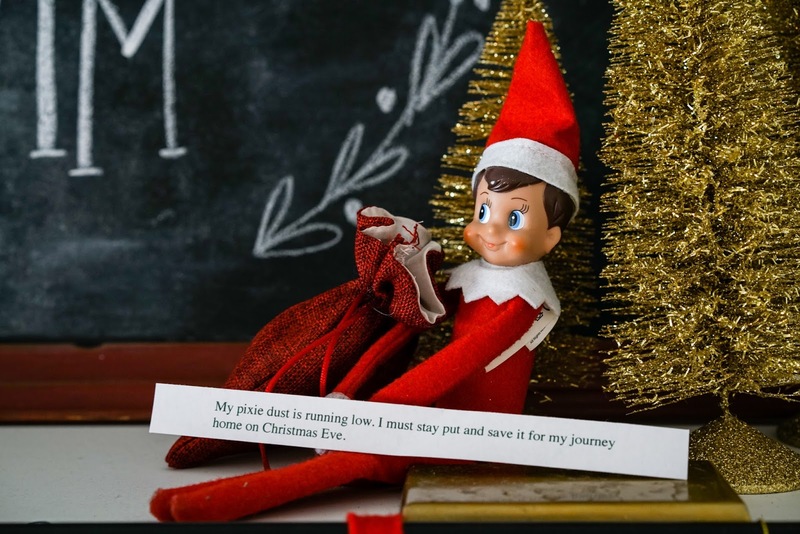 I must stay put and save it for my journey home on Christmas Eve. 4. I lost my contacts during last nights flight. 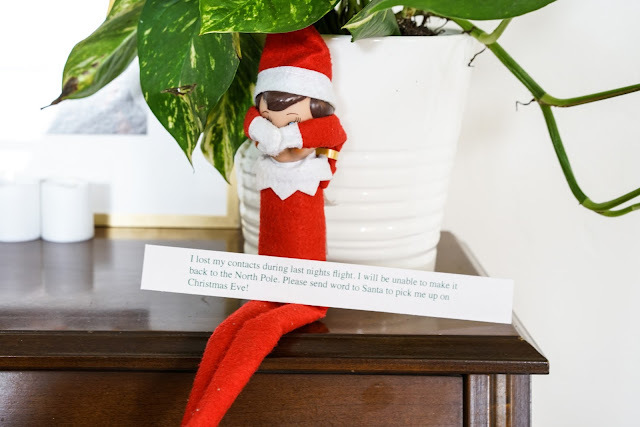 I will be unable to make it back to the North Pole. Please send word to Santa to pick me up on Christmas Eve! 5. I’m quite cozy here by the fire. May I please stay here until Christmas Eve? The North Pole is COLD! 6. I have strep throat and a double ear infection.... Doctor says I need lots of rest. Don't worry about me, I'll be fine. 7. 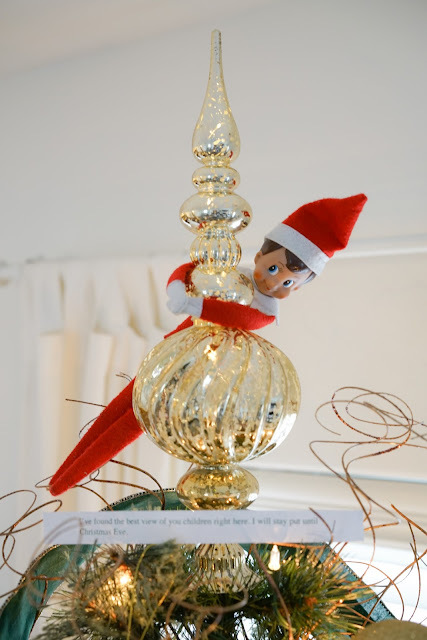 I have been too naughty with all the tricks I have pulled. 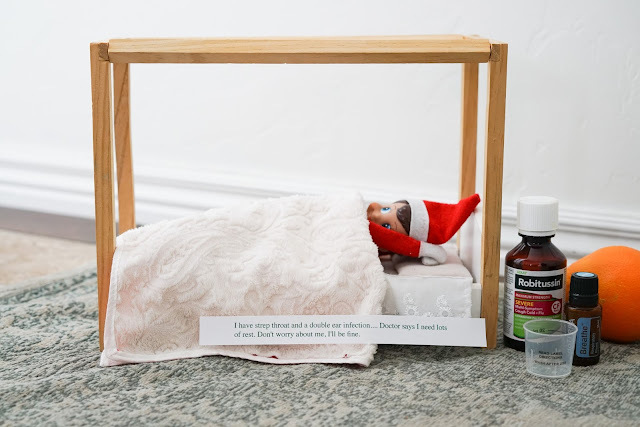 Santa said I must be put in time-out until Christmas Eve. 8. I’ve found the best view of you children right here. 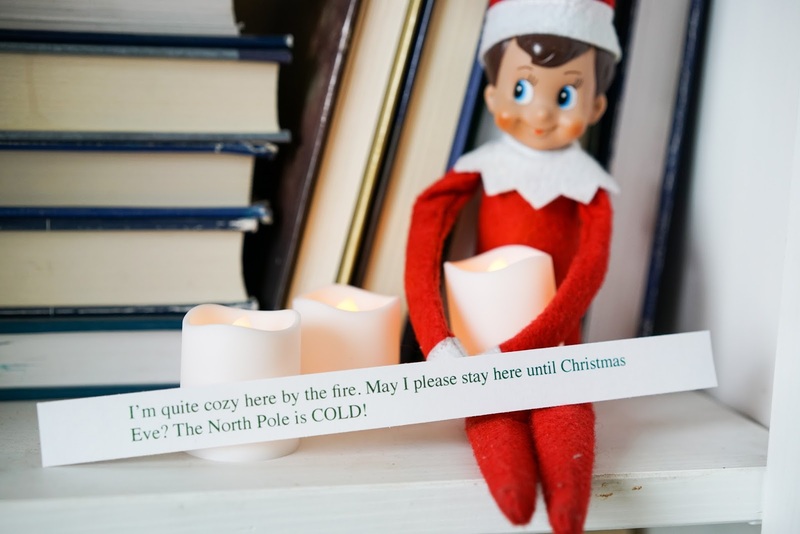 I will stay put until Christmas Eve. 9. 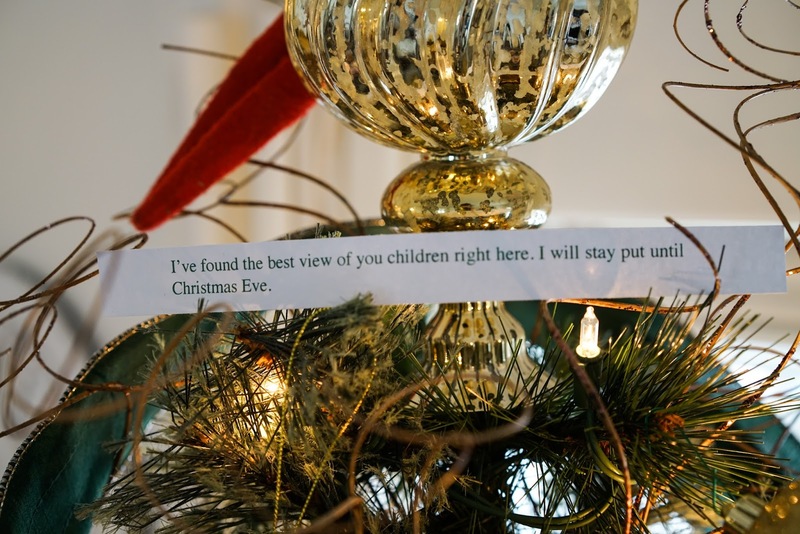 I won’t fly back to Santa until I have something REALLY good to report. Do your best, and remember to care for others. BONUS! 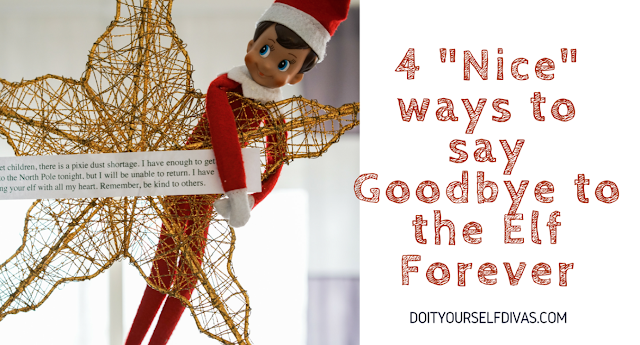 If you want to be done with the elf FOREVER, click over to our other post: 4 "Nice" Ways to Say Goodbye to the Elf FOREVER!